Like a lot of music lovers of my generation, I "discovered" ska music in the late-'70s with British 2 Tone bands such as The English Beat, The Selecter, Madness, and The Specials—bands that later inspired Third Wave ska in the U.S. with acts such as The Toasters, The Mighty Mighty Bosstones, Mad Caddies, and the Voodoo Glow Skulls. It wasn't until years later I went back to the source—late-'50s and early-'60s Jamaican ska, which combines Caribbean mento and calypso with the American R&B of artists like Fats Domino and Louis Jordan. OLD-SCHOOL SKA! The Upside (pictured), which plays a mix of '60s Jamaican ska covers and originals, makes its debut on Dec. 21, at The Siren, opening for The Zongo All-Stars. 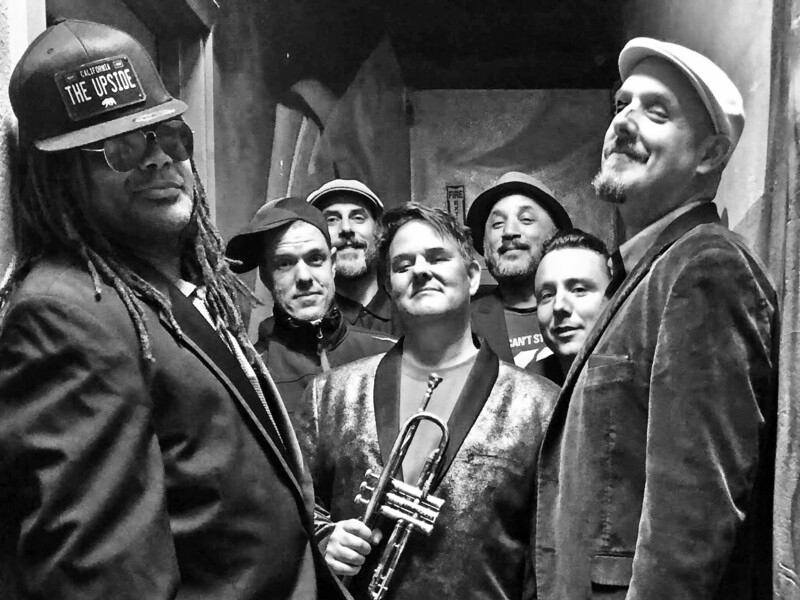 Two longtime local music veterans recently came together to create The Upside, an old-school ska band playing a mix of '60s Jamaican ska covers and originals in a similar style. Vocalist Eric Cotton (Rock Steady Posse, The Cheeseballs) and trumpet player Paul Irving (Rock Steady Posse, Zongo All-Stars) have decades of experience, and have enlisted a fantastic group of players: Brian Conaway on saxes (Rock Steady Posse, 33RPM), Dylan Johnson on upright bass (Zongo All-Stars, various local jazz combos), Jacob Odell on guitar (Zongo All-Stars, Soul'd Out), Sean Sullivan on drums (Zongo All-Stars, Brass Mash), and Lucas Pearson on Hammond B3 organ (33RPM). They'll debut this Friday, Dec. 21, at The Siren, opening for the Zongo All-Stars (7:30 p.m.; 21-and-older; $5 presale at ticketfly.com or $7 at the door). The Upside will also open for Let's Go Bowling at The Siren on Saturday, Dec. 29 (8 p.m.; 21-and-older; $10 presale at Boo Boo's or ticketfly.com, or $15 at the door). "We'll do some original stuff but we're going to cover a lot of that old Studio One ska, people like Desmond Dekker, old Bob Marley and the Wailers—the kind of stuff I was listening to when I went to Cal Poly," Cotton explained. "Yeah, we're going all the way back—The Skatalites, Ken Boothe, the Castles Sisters. 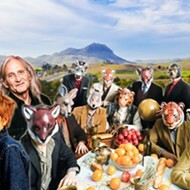 The first show only has 11 tunes," Irving added. "Ultimately it's going to be a mix of old-style covers and half originals. Eric's a songwriter and he's got tons of stuff in that style and rock steady stuff." Cotton was a music scene fixture around here through the '90s, and Rock Steady Posse was hugely popular, but Cotton eventually pulled up stakes and headed to the Bay Area, where he fronts party dance band The Cheeseballs. "My girlfriend lives in Morro Bay, so I'm trying to grow some roots back down there again," Cotton said. "All my work with The Cheeseballs is up in the Bay Area, but we're trying to cultivate the wedding market down here, get with some talent buyers. "We've been practicing for a good two months, and we've got a lot of the Zongo guys, the rhythm section," he continued. "I don't know if you remember Brian Conaway, a sax player from back in the Rock Steady Posse days. Just trying to get some of the badasses around here together and connect with some old buddies." These players are definitely the cream of the crop! I expect they'll be really tight! "Yes, the players are all solid, and it's coming together, sounding really good," Irving added. "One of the things that's kind of cool is that I've been playing around here for years, and to see a couple of my bands come together—Rock Steady Posse and Zongo All-Stars—is really nice." "Rock Steady is remembered for being a really high-energy band, and I think the biggest thing to know about this band is we're trying to rejuvenate some of that energy, and everyone loves ska music and loves to dance to it," Cotton said. "It's really different from what we do in Zongo, which is almost a jazz format where we pass around solos," Irving explained. "Zongo songs can go on 10 or 15 minutes. The Upside is focused on tight arrangements. The open set is 45 minutes and we go on at 8 p.m. sharp." Be there at 8 p.m. or be square! PASSING OF A LEGEND The life and career of Deeds of Flesh guitarist and former Los Osos resident Erik R. Lindmark will be celebrated on Dec. 20, at Sweet Springs Saloon. "In our small SLO County community, there are hidden gems like Erik R. Lindmark," wrote metal head Steve E. Miller—former publisher of Extremities Magazine, operator of Extremities record label, KCPR No Speed Limit metal show DJ, and photographer. "An avid fan of hockey in his high school days, his father bought him both a guitar and hockey skates. While he had a good run at hockey as he grew up in Southern California, the guitar would become his artistic output from his teenage years to the day he passed on, in late November of 2018, in Florida. "In a strange way for this small county, there were many that knew Erik because of his bands Charlie Christ (late-'80s to early-'90s) and eventually Deeds of Flesh (1993 to 2018), but there are so many more that didn't know that Deeds of Flesh recorded eight studio albums and toured the United States, Europe, Australia, New Zealand, and South America multiple times. Erik's extreme metal world has a tight bond between fans and musicians. The numbers of countries that Erik and Deeds of Flesh traveled to and the numbers of people who know of his name and band are countless. "Erik was a driven, humble musician, who played and performed without an ego, and the number of people who have shared the news of his death and have shared stories about him on social media prove this. 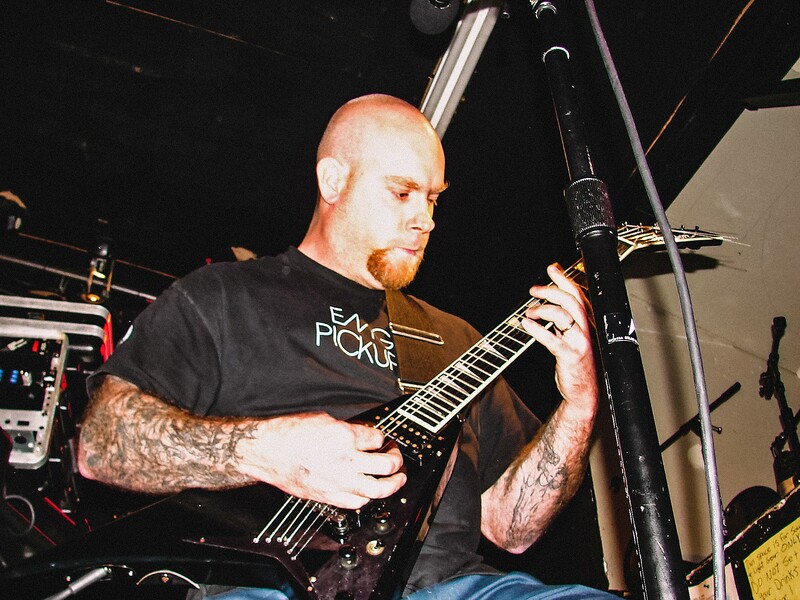 SHREDDER Known for his technical proficiency, Erik R. Lindmark (pictured) also fronted local metal band Charlie Christ. Two other local metal bands—Cryptolith and Stone Mountain—will play his celebration of life on Dec. 20, in Sweet Springs Saloon. 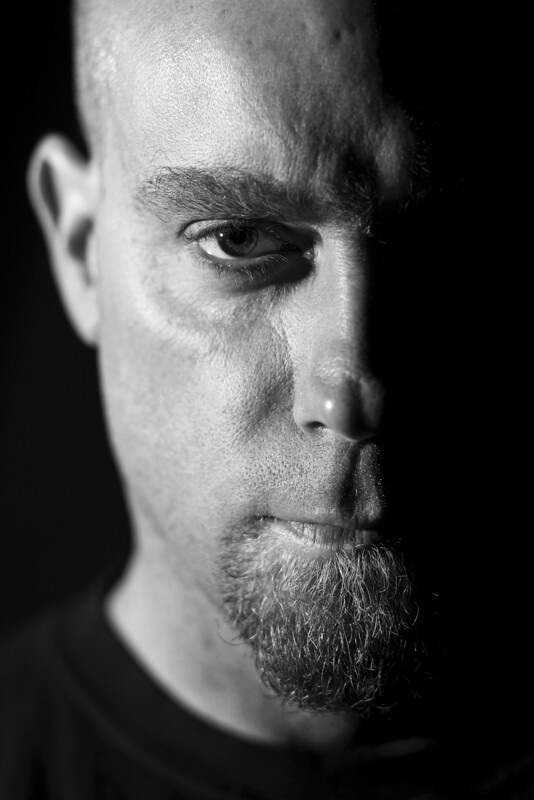 "He had a massive positive influence on so many other musicians (as did the other members of his band) and a positive influence on the extreme metal scene through his record label, Unique Leader Records (1999 to present). "He was, at the center, an artist and will be celebrated as such at Sweet Springs Saloon on Thursday, Dec. 20 (8 p.m.; 21-and-older; donations will be accepted and handled by former band members to put into a bond for his daughter). "Cryptolith and Stone Mountain, who claim influence from Erik's music, will play in tribute. There will be open mic time for people to express their thoughts. As a tribute to his passing, please join us if you knew Erik, who is survived by his wife, daughter, father, and sister." It doesn't quite feel like Christmas until Molly's Revenge plays their annual Winterdance celebration, which they will this Saturday, Dec. 22, in Los Osos' South Bay Community Center (7 p.m.; all ages; $25 presale at Boo Boo's or brownpapertickets.com, or $29 at the door; $10 for kids 12 and under). GET YOUR IRISH UP! 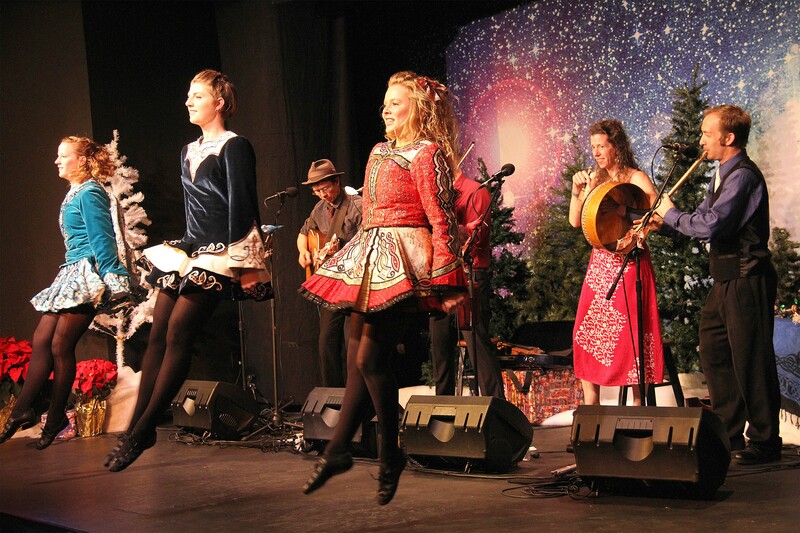 The 13th annual Winterdance Celtic Christmas Celebration featuring Molly's Revenge, guest vocalist Amelia Hogan, and the Turco Irish Dancers performs on Dec. 22, in Los Osos' South Bay Community Center. This marks the 13th annual Winterdance Celtic Christmas Celebration, and Celtic act Molly's Revenge will be joined by special guest vocalist Christa Burch and the amazing Turco Irish Dancers in this show sponsored by public radio station KCBX 90.1FM. 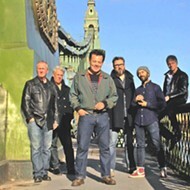 Expect "an evening of music, song, and dance associated with the festive season," according to Molly's Revenge member Stu Mason. "The performance will include Christmas songs both old and new, all played with a Celtic twist, and something new for our regulars." Molly's Revenge is a premiere Celtic band, with bagpipes, fiddle, whistle, guitar, mandola, and bodhran. 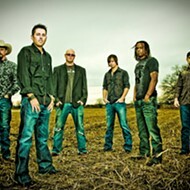 They've toured throughout the U.S., as well as Australia, China, and Scotland. 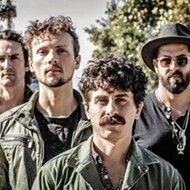 "The band is known for its unique and infectious onstage enthusiasm," Mason said. "Our arrangements of traditional jigs and reels bring these dance tunes up to date with a driving, hard-edged accent that always leaves audiences shouting for more. "Guest vocalist Amelia Hogan sings traditional Irish, Scottish, British, American, and contemporary folk ballads with lilting grace and subtle power," he added. "She transports you with a spell into another time and place, where the banshee wails and lovers embrace. Haunting melodies, stirring passion, and evocative storytelling are what you'll find with Amelia's music. To balance the gentle beauty of Amelia's songs, the Irish dancers will bring a percussive, joyful, and colorful exuberance to the stage." Nollaig Shona, as they say in Gaelic! 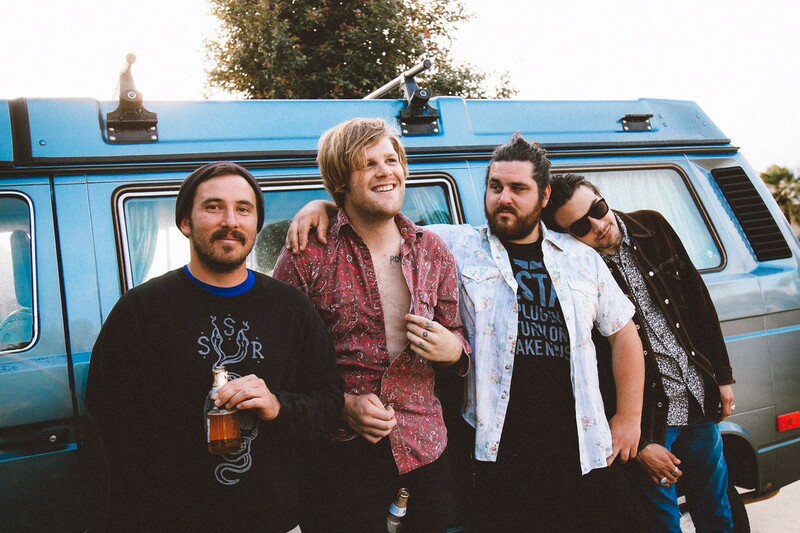 SLO Brew Rock—ugly sweater style! 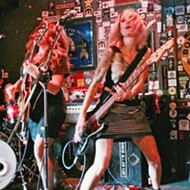 The Ugly Sweater Christmas Concert with punk act The Pathetics and jangly garage blues act Ragged Jubilee hits SLO Brew Rock on Saturday, Dec. 22 (7 p.m.; 21-and-older; $10 at slobrew.com). BUST OUT YOUR UGLIEST X-MAS SWEATER! Garage blues act The Ragged Jubilee (pictured) plays SLO Brew Rock's Ugly Sweater Christmas Concert, with opening act The Pathetics, on Dec. 22. Openers The Pathetics call themselves "the punkest band in light rock," and they play tight, often hilarious two-minute punk anthems with names like "Adventures at Taco Bell," "Third Degree Burns," and "Good at Goodbyes." They also do a sweet, punk version of Ritchie Valens' "La Bamba."